Can We Really Be #like Jesus? Have you ever found yourself thinking, “I could never be like Jesus! After all, He’s God… and I’m not!” Well, let’s take a closer look at Him. 100% God, 100% man. At the same time. What a mystery. How could God be 100% man, “made like us in every way,” as the writer of Hebrews puts it? For many years, I read the Gospels and believed Jesus could heal, perform miracles, walk on water, know what men were thinking and amaze with his teaching precisely because he was God. I worshipped him for that. But where does that leave the “100% man” part? This is evident when reading about Jesus healing the paralytic whose friends dug a hole in the roof and lowered him down in front of Jesus (Matthew 9, Mark 2, Luke 5). In Luke’s account, he records. “And the power of the Lord was present for him (Jesus) to heal the sick.” Interesting. Here Luke separates Jesus the man from “the power of the Lord.” Jesus is the Lord, so what is Luke referring to? He must be speaking of the Holy Spirit. We see this one chapter earlier in Luke 4:1,14,18 where it says Jesus wa full of the Spirit, led by the Spirit, comes in the power of the Holy Spirit, is anointed by the Spirit, and is sent by the Spirit to proclaim Good News. So here in Luke 5, Jesus heals the paralyzed man when the Holy Spirit empowers Him to do it. Isn’t it interesting to note that Jesus’ disciples also knew what the Pharisees were thinking. They wrote it down in the Gospels. It doesn’t appear that Jesus spelled it out. But they knew too. It was their culture. Jesus’ dependence on the Holy Spirit to live as he lived, teach as he taught and minister as he ministered is a great encouragement to me. The same Holy Spirit now lives in me, fills me, empowers me, leads me, sends me and transforms me. He makes it possible for me to be like Jesus! Whose opinion really matters the most to me? In Matthew 5 and Luke 6, we read Jesus’ Sermon on the Mount. This comes right after Jesus selects the Twelve to be Apostles, so the content of his Sermon is a foundational piece to his training and preparation for them. Again and again in his Sermon, Jesus says, “You have heard that it was said…” He then follows with, “But I tell you…” This is how others tell you you should live, but I want to introduce you to a whole new way of living! He speaks this way about murder, reconciliation, adultery, divorce, taking oaths, revenge and loving enemies. The wisdom of this world, the experiences and expertise of those with cred, the not so subtle messages from the media machine… they all seek to shape us into their image. Am I being “conformed” or “transformed?” It all comes back to this. Whose opinion matters most to me? If I want to “walk as Jesus walked” then I need to listen to Jesus above all others. I must learn to think like Jesus (as believers we do have the mind of Christ), so I can walk and talk like Jesus… be Jesus with skin on in the world he’s placed me. I began a journey in 2016. A hunger to dive even deeper into the life of Jesus, a quest to discover what it truly means to live, love, lead, serve, speak, sacrifice, pray, prioritize and preach #likeJesus. I committed to read through the Gospels every month this year. I’m taking a different Harmony of the Gospels, particularly those that weave the four gospels into a single narrative, and reading through each one over the course of a month. 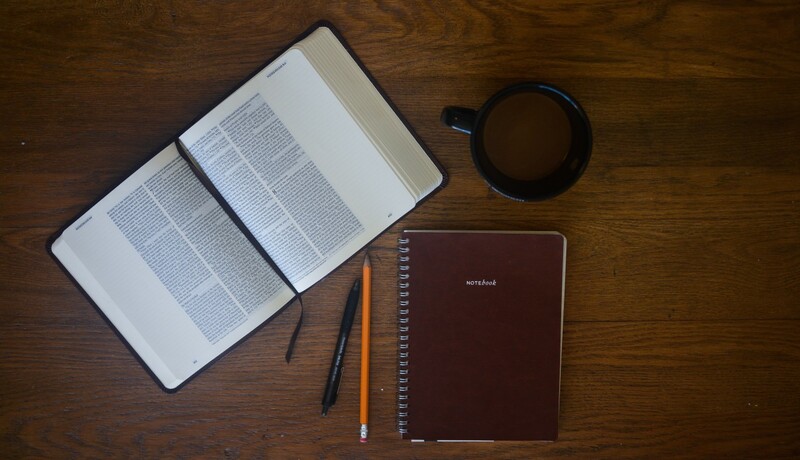 Each day, I journal insights on what God is showing me about being #likeJesus. I thought you might appreciate a brief description of the Harmonies I’ve read so far. Originally titled Life of Christ in Stereo, The Greatest Story represents the primary scholarship of Johnston Cheney, a layman who taught himself greek and spent the last twenty-plus years of his life compiling this work. Stanley Ellisen, a professor of Biblical Literature from Western Seminary, lent his scholarship and helped to get the original work published. One of Cheney’s unique arguments is that Jesus’ public ministry was a minimum of 4 years, not 3. There are many things I appreciate about The Greatest Story, with both the translation and the blending of the four gospels making it very readable as a single narrative. Robert Mounce offers a unique translation in Jesus, In His Own Words. Everywhere the gospel writers, speaking of Jesus, say that “He said this” or “He did that,” Mounce translates it in the first person as if Jesus is telling His own story. Robert Mounce is no slouch when it comes to his credentials to offer such a work, being the president emeritus of Whitworth University, a noted commentary author, and a translator of the New International Version, New Living Translation and English Standard Version. From what I can tell, Mounce incorporates everything contained in the four gospels with the exception of Luke’s prologue (Luke 1:1-4) about writing an orderly account for Theophilus, since this is Luke’s own insertion and doesn’t fit the theme of Jesus, In His Own Words. Unlike others on this list, Kermit Zarley, a former professional golfer, did not translate and harmonize The Gospels Interwoven directly from the Greek. Instead, Zarley has taken the New International Version translation and woven it together into a single narrative. To achieve his chronology, he took 13 different harmonies and laid them side by side to study the order in which they laid out the events of the life of Christ. He leans toward the structure from Strong’s Harmony of the Gospels, which closely mirrors the timeline from Thomas and Gundry’s Harmony of the Gospels. Having grown up with the NIV, the wording of The Gospels Interwoven is very familiar and easily readable. Harley has also included a helpful, extensive section that covers all the potential conflicts in harmonizing the gospels. A very helpful tool! John MacArthur is a pastor, Bible teacher and author who has compiled a strong harmony. Having recently concluded his commentaries on all four gospels, MacArthur decided to compile a single narrative Harmony of the Gospels based on the chronological timeline he’s long used in his commentaries. His translation closely mirrors the New American Standard Version, making it a little stiffer and less modern in its phrasing. However, the inclusion of his commentary notes is very helpful and his chronology is solid. I particularly found it refreshing that he began with a pre-gospel section where he wove together Old Testament scriptures regarding Creation, Fall, the Passover Lamb and Promises of the Coming Messiah. Then he concluded with a post-gospel section with scriptures gathered from Acts, the Epistles and Revelation that emphasized the significance of the Death and Resurrection of Christ, the Return of Christ, Salvation by Grace through Faith and the need to Respond to the Gospel. Gary Crossland has translated his harmonized gospel, The Merged Gospels, directly from the Greek and laid it out in a section by section, sentence by sentence format. The layout has the feel of a workbook. It’s wonderful for study and for seeing how each sentence and section was harmonized from the four gospels, but this makes it less readable as a story format. One added benefit to Crossland’s work on The Merged Gospels is that it is also available in audio format. NOTE: One section of the harmonies that I use to compare each author’s work is how they treat the Call of the Four that we read in Matthew 4 and Mark 1. Do they harmonize these together with Luke 5, or do they treat Luke 5 as a separate event where Jesus tells Peter a second time that he will fish for men. I believe Matthew 4 and Mark 1 are a separate event from Luke 5. Cheney, Mounce and MacArthur also harmonize the gospels this way, while Crossland and Zarley view the two accounts as different viewpoints of the same event. Bill Perkins has taken the classic, Life of Christ in Stereo by Johnston Cheney and Stanley Ellisen, and compiled it in a format that reads like a novel. It’s in a nice hard-bound cover and laid out without scripture references or subject headings. The seven sections of the book are Preparation for Ministry, The First Year of Ministry, The Second Year of Ministry, The Third Year of Ministry, The Fourth Year of Ministry, The Last Week of Ministry, and Crucifixion, Resurrection & Ascension. It’s simple, meant to be read as a story, without the distractions or interruptions of scripture references or added commentary. Other Harmonies that I will read later this year include: The Harmony of the Gospels by St. Augustine of Hippo; A Life Worth Knowing: A Chronological Harmony of the Four Gospels by David Barrett; A Harmony of the Four Gospels: The New International Version by Orville Daniel; A Simplified Harmony of the Gospels by George Knight; The Fourfold Gospel by J.W. McGarvey; Eyewitness: The Life of Christ Told in One Story by Frank Ball. I’ll provide a brief description of these Harmonies later in the year. For study purposes, all of Sonlife Ministries’ training is based off Thomas’ and Gundry’s A Harmony of the Gospels, which is a parallel version of the four Gospels, laid out in chronological order side by side. Thomas’ and Gundry’s work also includes scholarly articles that provide an overview of various forms of biblical criticism and answers to the apparent challenges with harmonizing the gospels. Do we fully comprehend Jesus’ heart for us? If we did, maybe it would change the way we prayed. Prayer, at its most basic form, is asking. What are you asking for from Jesus? In Matthew 8, Mark 1 & Luke 5, Jesus heals a man with leprosy. What a beautiful story of Jesus’ power and compassion. With his face to the ground… can you feel his humiliation, brokenness and desperation? How does Jesus respond? Filled with compassion, Jesus reached out his hand and touched the man. “I am willing,” he said, “Be clean!” Immediately the leprosy left him and he was cured. Jesus was filled with compassion. He did the unthinkable. He touched the man. How many years had it been since anyone touched his disease-ridden body? Who would dare to do that? No one! But Jesus did! And then we read some of the most beautiful words in all of scripture. “I am willing.” Three simple words. But WOW, they tell us volumes about our Savior! When I come to Jesus with my own humiliation, brokenness and desperation- often caused by sin- how does Jesus respond to me? I am willing to walk with you through this. I am willing to forgive you for this. I am willing to heal you of this. I am willing to restore you from this. That is Jesus’ heart for me. That is Jesus’ heart for you. Thank you, Jesus, for your extravagant grace.